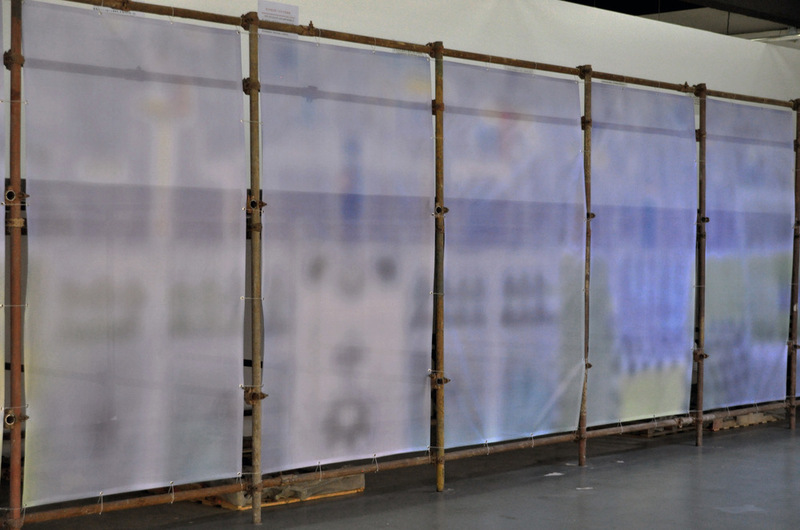 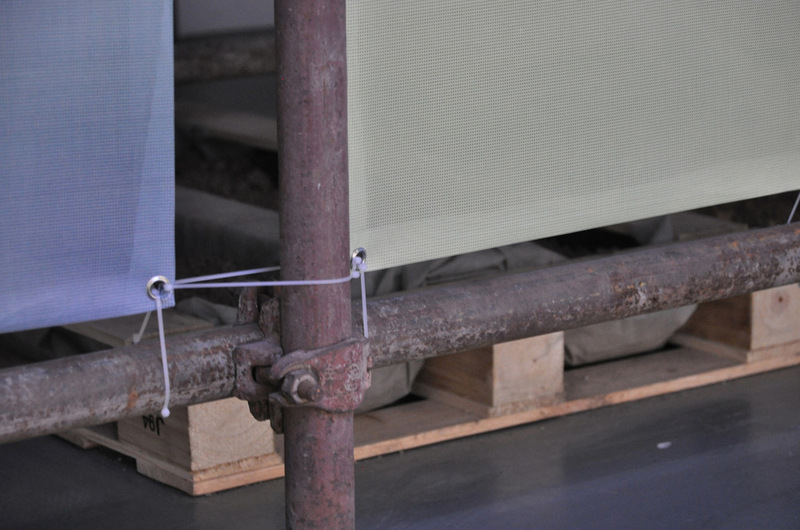 This work consists of a series of mesh banners mounted onto a scaffolding structure depicting a blurred image of a painted cityscape derived from Ningxia's Museum of Immigration. 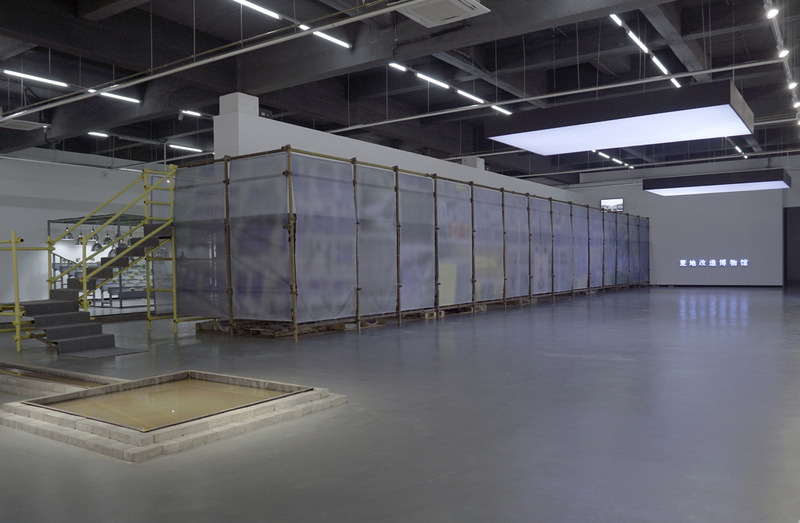 The banners serve to conceal a sprawling parasite garden constructed beneath the scaffolding, mimicking the guerrilla vegetable gardens constructed in crevices of the cities fabric as urbanization consumes viable agricultural space. 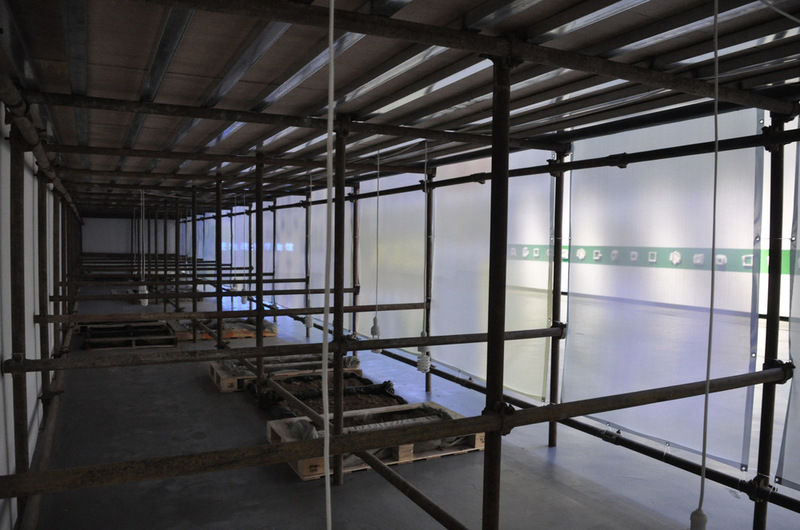 On the elevated level of the scaffolding is a museological space displaying testimonies of everyday life gathered during a workshop with a high school class in Hongsibu. 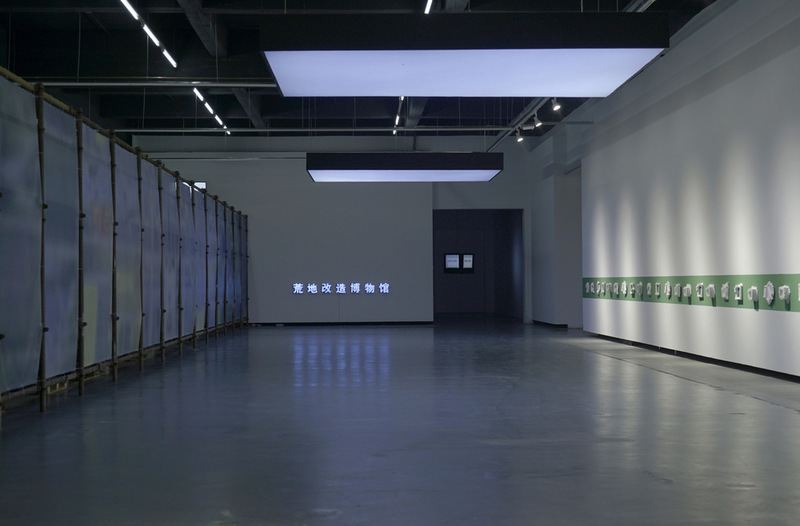 The work grapples with the competing narratives of a city and its construction and how official narratives are embodied and transformed through lived experience. 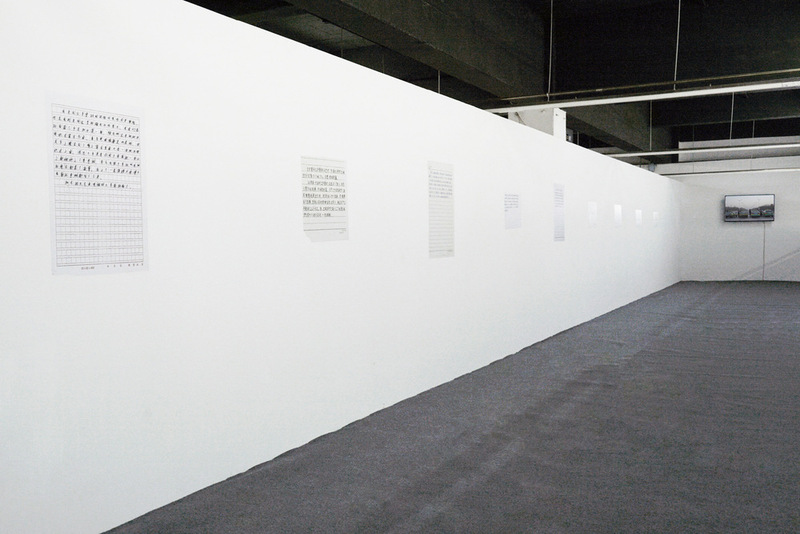 The english language translation for the letters is seen in the accompanying video. 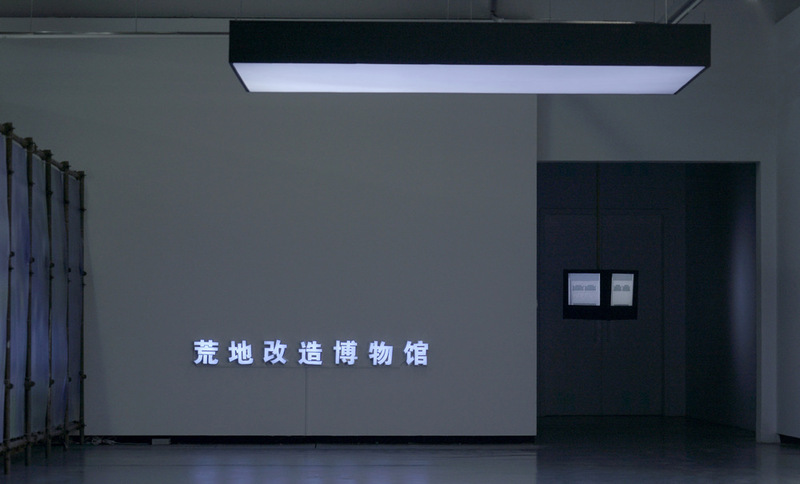 Originally exhibited at Tides of Sand and Steel at Si Shang Art Museum, in collaboration with ADL.